To be honest, there are countless of them, and they don’t always work. Girls are rarely impressed with those same old cheesy pickup lines now. They need something new. They need something that’s challenging! Something interesting and deep that would make them question everything in life. 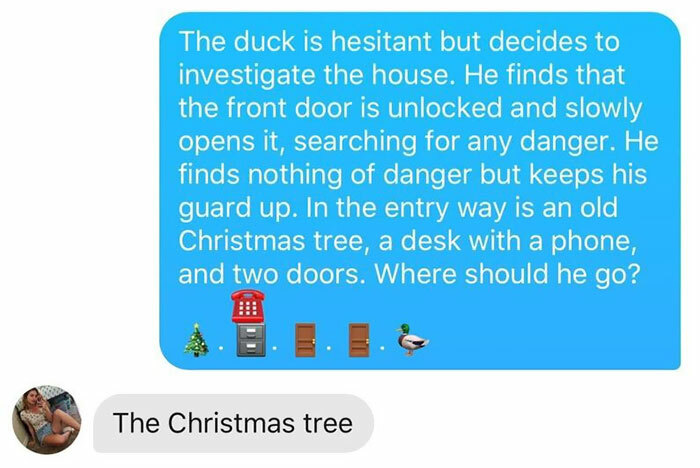 Something like A DUCK STORY. Yep, that’s right. You read that correctly. 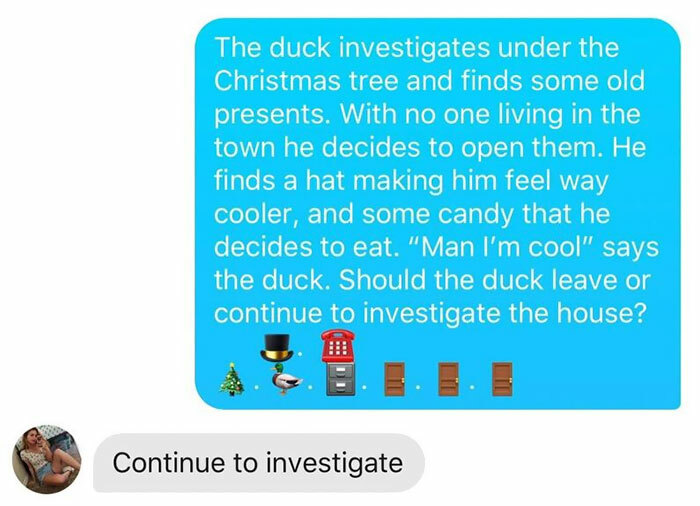 We are going to use duck stories to get chicks now. 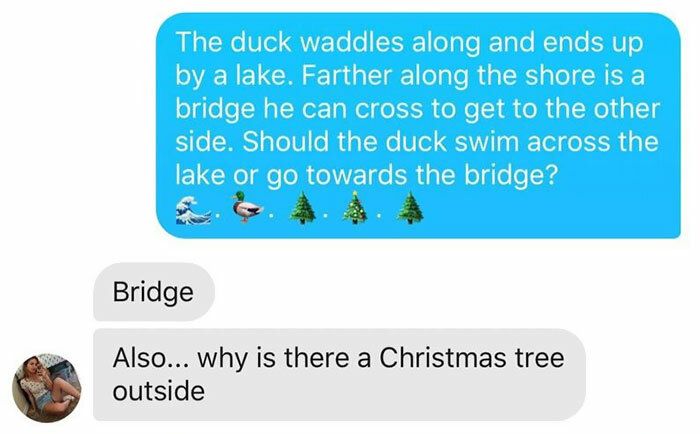 You see, the “duck guy” as he is called shared the conversation he had with this girl from Tinder. 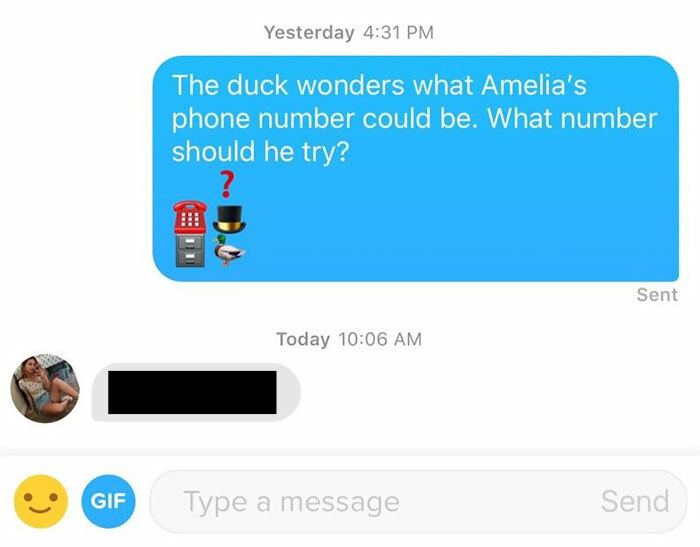 As it appears, he used the duck story and successfully managed to get that girl’s number! So, gone are the days when you’d spend hours thinking/planning what to do or what to say. Just use this magical story, and you’re done. So, let’s take a look at the story. Like a boss? I’d say yes. 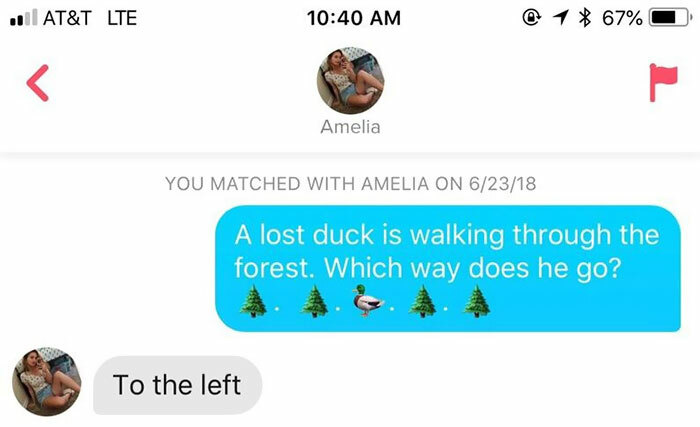 That was legit too smooth. 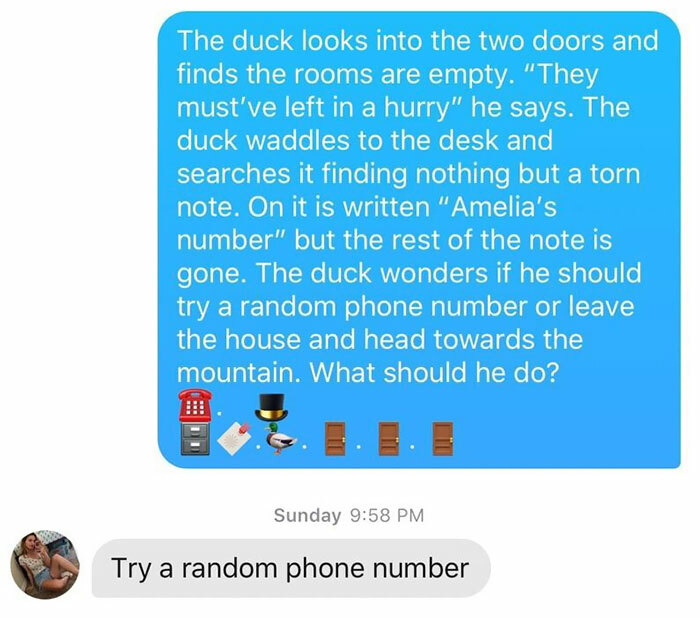 I think its safe to say that girls would give their number if you properly tell the story. 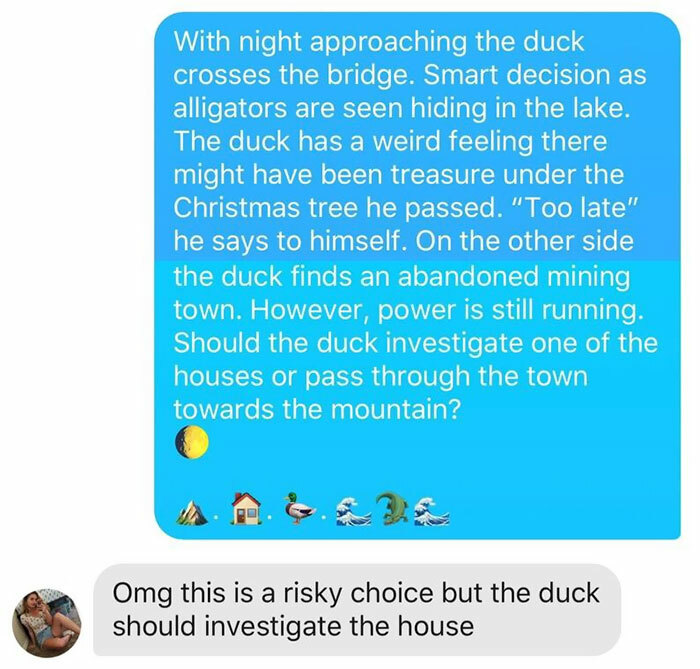 I honestly want to know what happened to that duck afterwards. So, what do you think of this? More importantly, if you are a girl reading this what would you say? Comment below and let us know exactly how you would respond.